Squashed entanglement is a measure for the entanglement of bipartite quantum states. In this paper we present a lower bound for squashed entanglement in terms of a distance to the set of separable states. This implies that squashed entanglement is faithful, that is, it is strictly positive if and only if the state is entangled. We derive the lower bound on squashed entanglement from a lower bound on the quantum conditional mutual information which is used to define squashed entanglement. The quantum conditional mutual information corresponds to the amount by which strong subadditivity of von Neumann entropy fails to be saturated. Our result therefore sheds light on the structure of states that almost satisfy strong subadditivity with equality. 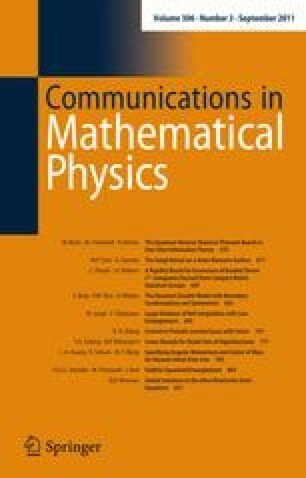 The proof is based on two recent results from quantum information theory: the operational interpretation of the quantum mutual information as the optimal rate for state redistribution and the interpretation of the regularised relative entropy of entanglement as an error exponent in hypothesis testing. The distance to the set of separable states is measured in terms of the LOCC norm, an operationally motivated norm giving the optimal probability of distinguishing two bipartite quantum states, each shared by two parties, using any protocol formed by local quantum operations and classical communication (LOCC) between the parties. A similar result for the Frobenius or Euclidean norm follows as an immediate consequence. The result has two applications in complexity theory. The first application is a quasipolynomial-time algorithm solving the weak membership problem for the set of separable states in LOCC or Euclidean norm. The second application concerns quantum Merlin-Arthur games. Here we show that multiple provers are not more powerful than a single prover when the verifier is restricted to LOCC operations thereby providing a new characterisation of the complexity class QMA. An erratum to this article can be found online at http://dx.doi.org/10.1007/s00220-012-1584-y.